The 2017 edition of EuroNanoForum’s biannual conference is the most significant European nanotech event of the year. It will bring researchers, industrialists, policy makers but also EU citizens together and will help them to create together the road map to strengthen Europe’s competitiveness through the latest developments in nanotechnology and advanced materials. 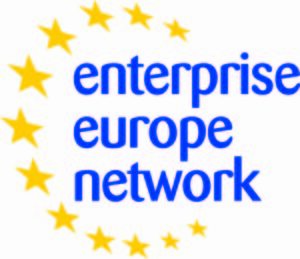 Make the most of your participation at EuroNanoForum 2017 and participate in the international matchmaking event of the Enterprise Europe Network. We will target a wide spectrum of start-ups, companies, universities, researchers and clusters from all over Europe interested in expanding their business and sharing new project ideas in the nanotechnology and advanced manufacturing sectors. During the matchmaking sessions you get to speak with a great amount of interesting business partners in pre-arranged, 25-minute long meetings. The Marie Sklodowska Curie Actions Conference will take place in Malta on the 11th and 12th May 2017 under the auspices of the Maltese Presidency of the EU. The event will be organised by the Malta Council for Science and Technology within the Ministry for Education and Employment, with the cooperation of the European Commission. The overall objective of the conference is to discuss and reflect on the Marie Skłodowska-Curie Actions with a special focus on ‘Mobility Takes Research Further’. The objectives of the event will be reached by sharing good practices and encouraging a debate on past and ongoing experiences. Experienced and early stage researchers, academics from various universities, European Commission officials, proposal evaluators, representatives of National Contact Points and Programme Committee Meetings of Horizon 2020, will have the possibility to share their views and opinions. This event is supported by the EU’s Horizon 2020 programme, under grant agreement No 742185. The BLUEMED initiative was developed in 2014 under the Italian Presidency of the Council of the EU together with Mediterranean EU Member States and Portugal and the support of the European Commission. It fosters integration of knowledge and efforts to develop blue growth in the Mediterranean and promotes joint actions of relevant research and innovation priorities. A Coordination and Support Action which will support the BLUEMED consortium in its activities was launched in October 2016, and will kick off a series of networking meetings in the coming years. Malta will host a technical meeting of this consortium in April 2017, on the eve of an Informal Ministerial Conference of Maritime Ministers addressing Blue Growth, led by the Ministry for Competitiveness, and Digital, Maritime, and Services Economy. The BLUEMED Technical Meeting will be organised by the Malta Council for Science and Technology within the Ministry for Education and Employment. The technical meeting of the BLUEMED consortium will serve to continue consolidating the work of the group and support the update of the Strategic Research and Innovation Agenda (SRIA) developed and launched in 2015. The meeting will also be the first occasion during which the initiative will be opened up to the non-EU Mediterranean countries, which will also play an important role in the further development of the BLUEMED SRIA. Enterprise Europe Network in Malta supports the smart growth of the Maltese SMEs by increasing the efficiency and effectiveness of investments in research, development and innovation. This project will continue till 2020 and it will contribute to a better and more efficient connection of European and Maltese stakeholders and players along the innovation chain. The EURAXESS TOP III consortium includes partners from almost all EURAXESS countries (either as beneficiaries or associated partners, from altogether 39 countries), in order to ensure the widest possible coverage as well as increased impact. Malta, represented by MCST as the official appointed bridge head point (BHO) for the EURAXESS Network, is one of the beneficiaries working out a future vision for EURAXESS in light of the policy goals of the EC set for the period up to 2020. The project will significantly contribute to matching research talents with R&I needs and capacity on a European scale and it will help the circulation of researchers within Europe and among sectors. The objectives set out for this project are to develop and offer new services in line with the call objectives, build on results from the former EURAXESS projects and strengthen and consolidate the overall work of EURAXESS network members, assuring that the level of existing services is consistent and high. This project will further contribute to the implementation of EU policy regarding researchers’ career and mobility. More specifically, its activities will address strategic issues proposed by the Innovation Union strategy and those identified in A Reinforced European Research Area Partnership for Excellence and Growth. As a result of the project, members of the EURAXESS network will have better and broader knowledge and more integrated good practices regarding service provision for researchers. The revamped EURAXESS national portals throughout the EURAXESS member countries will offer tailor made information in line with Horizon 2020 objectives on making science careers attractive for researchers, especially young researchers. This project is supported by the EU’s Horizon 2020 programme, under grant agreement No 665934.